The Oklahoma Healthy Aging Initiative is a program that is dedicated to enhancing the health and quality of life for older Oklahomans. OHAI improves the wellness of seniors by increasing access to and quality of interdisciplinary geriatric healthcare, providing excellence in health education, and by optimizing health and aging policy. Centers of Healthy Aging have been established in five regions across the state to provide service to all older adults in Oklahoma. Dedicated education specialists work in each of the five regions to disseminate the knowledge and skills that enhance the well-being of older adults. 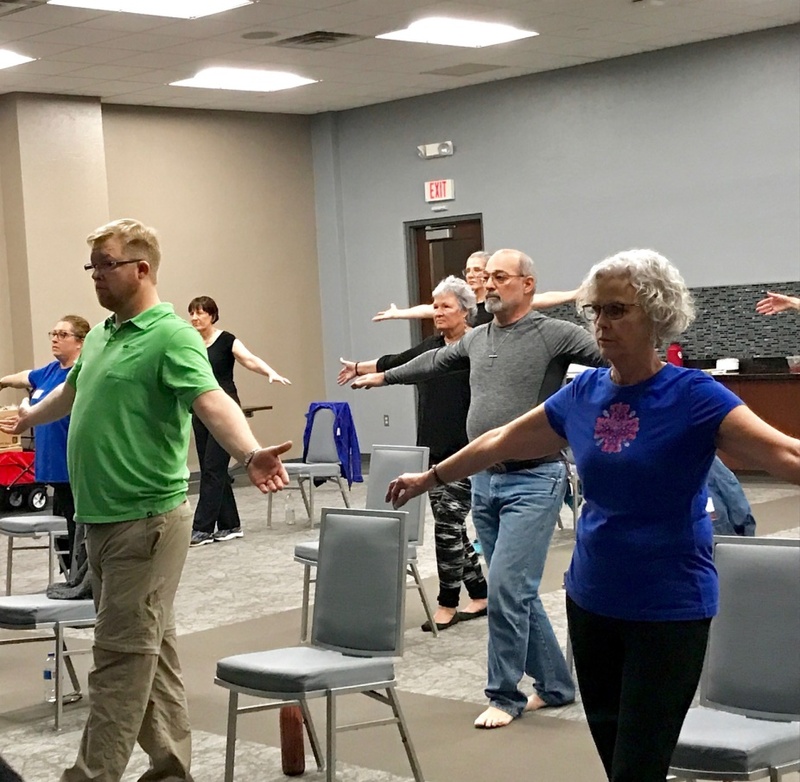 We traveled to Oklahoma City in March 2018 to provide a one day, on-site seminar for OHAI’s education specialists, as well as some OHAI volunteers that assist in leading evidence-based exercise programs in the community. 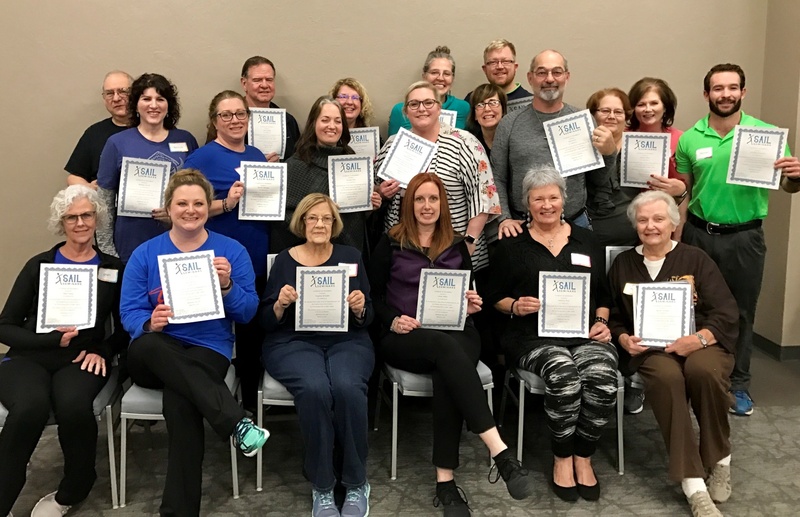 SAIL Seminars will continue to work with key OHAI education specialists in the coming year to enable them to act as “master trainers” for SAIL in Oklahoma. Congratulations to the staff at OHAI for completing your initial training. We look forward to partnering with you in the coming year to bring SAIL to Oklahoma! Click here to connect with the website for the Oklahoma Healthy Aging Initiative.